Bring a little outdoors indoors with these nature inspired towel warmers and radiators by Marco Pisati for K8 Radiatori of Italy. K8 has introduced a new line of thermal furnishing designs to offer its customers modern and alluring solutions for the bathroom with refined and updated shapes. These products aim at enhancing any ambience and architecture, with new contemporary styles in elegant gold and silver finishes or colorful powder coated options. Crafted of steel to last a long time, but equipped with an extruded aluminium core easing the thermal exchange and making heating quicker. 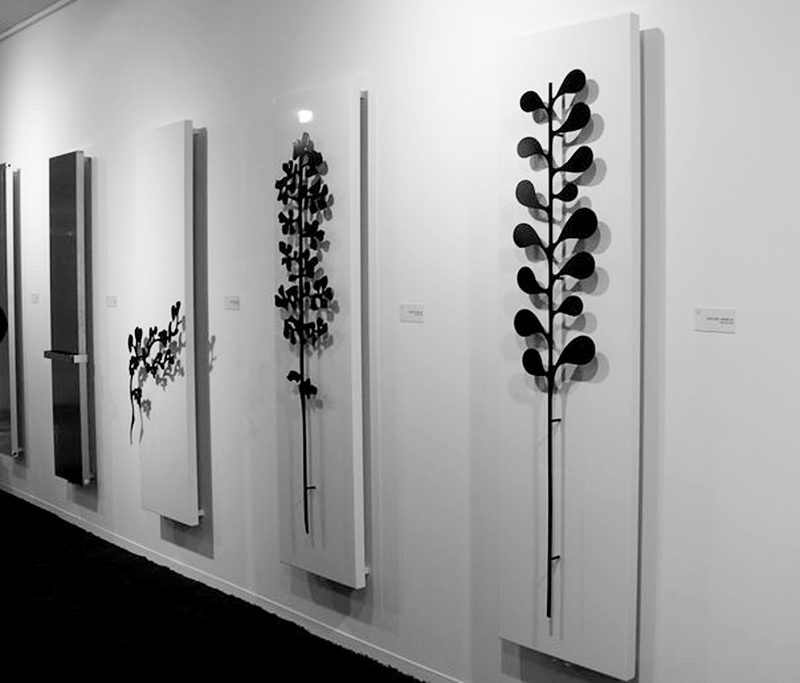 Nature is a set of towel warmers radiators inspired by the garden. The twisted branches, buds and flowers that characterize the design are the natural elements on which to hang towel and bathrobes. 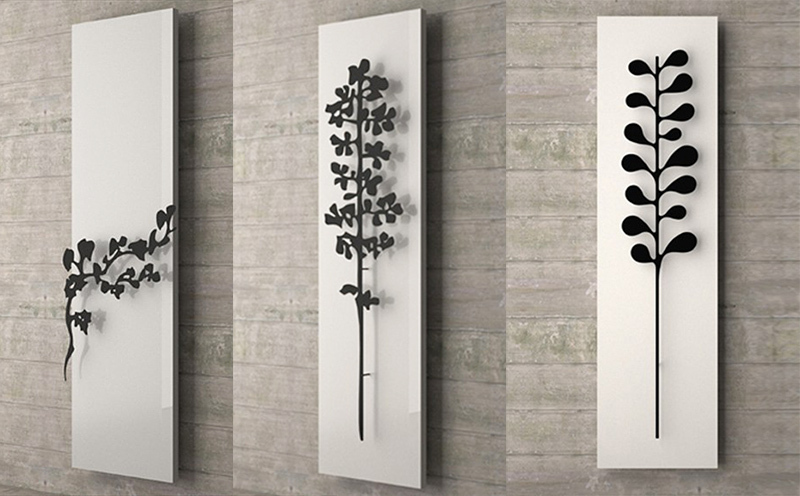 Directly inspired by the slender growth of a forest of bamboo, this radiator is both minimalistic and elegant. 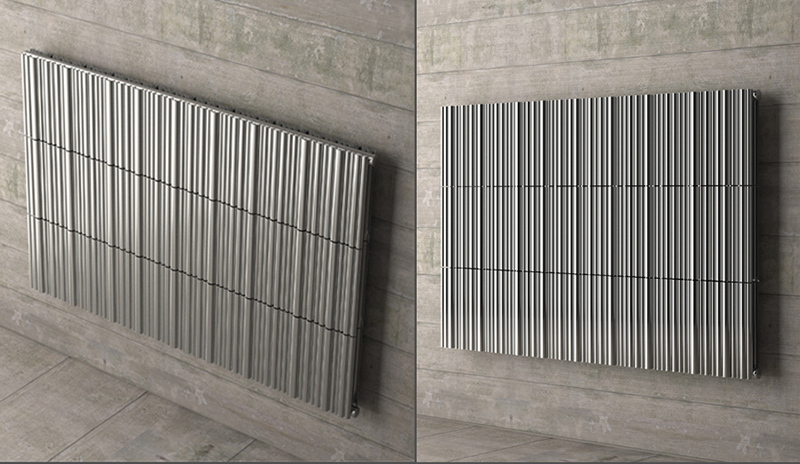 By using a unique production process, no two radiators will ever be created with exactly the same design; as would be found in nature. It harmoniously brings the world of nature, in a modern and classic form, in to the home. Like it’s sister product the Bamboo, the Bamboo Evolution is also inspired by a tropical forest of slender bamboo shoots. 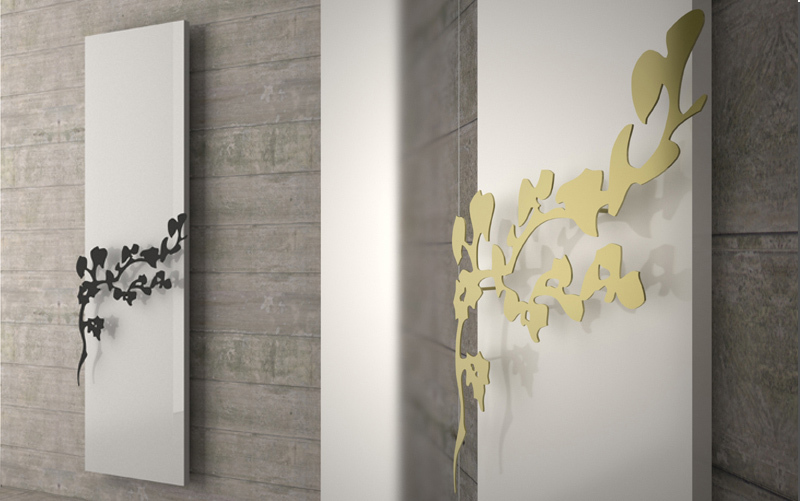 The new radiator, with its front and rear curves and floor to ceiling mounting system, becomes a elegant and modern room divider. 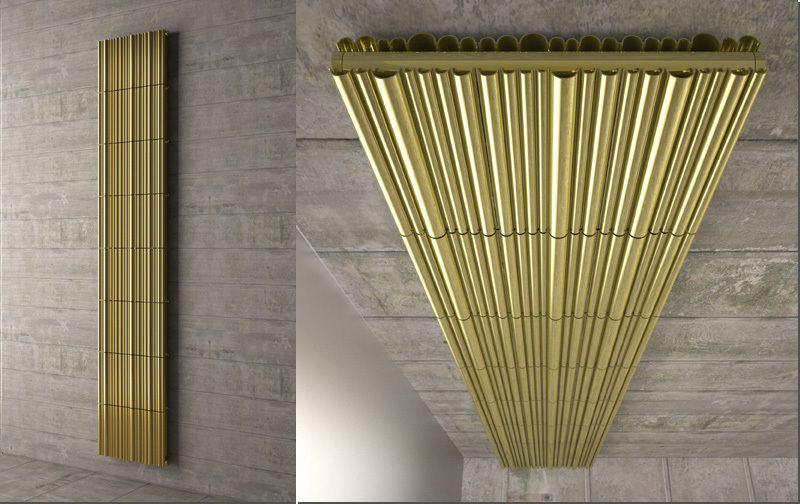 A new radiator with a design reminiscent of the minimalist decor of the old Romanesque and Gothic cathedrals. Like an ancient door, carved and embossed, "Mosaic" brings classic architecture into the modern home. 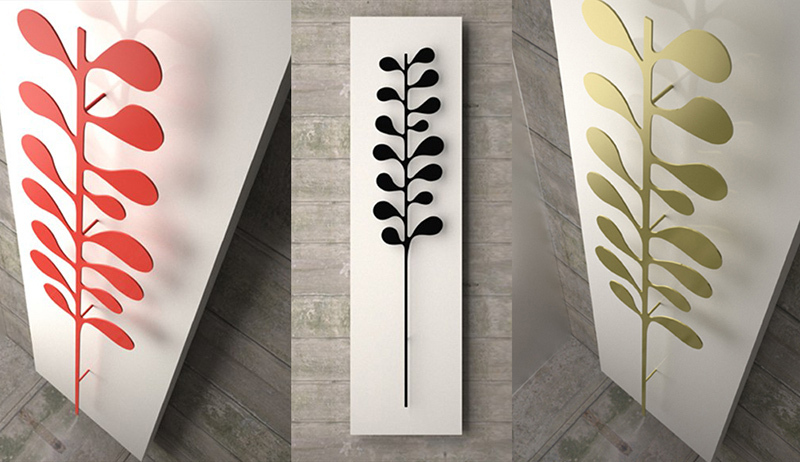 Trama, is a minimal designed radiator, featuring a coloured and dynamic design, changing the white top surface. Its peculiarity depends on the depth effect depending on the two parallel tops. 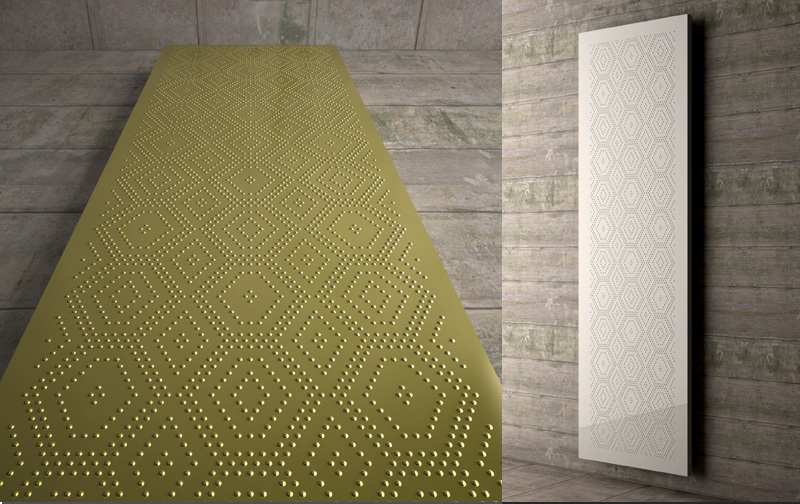 The external top, bright white, is drilled as a simple and dynamic embroidered fabric. The underneath top features frosted and modern patterns. Trama is a radiator to be used in contemporary ambiences, standing out as a unique unit, perfectly mixed with the coloured and modern new designed accessories. 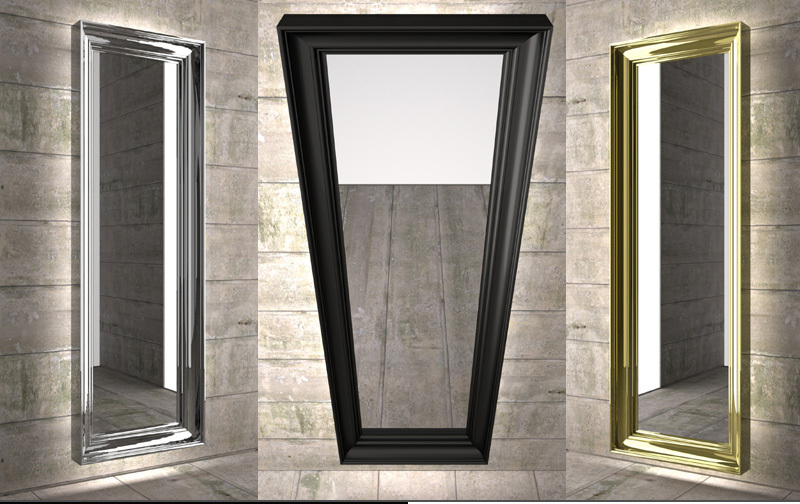 Available in different colours and finishes. The essential design, the contrast between two surfaces and two colours, the detail of the vent cover, TRAMA enhances the modern ambiences and becomes the real scene protagonist. 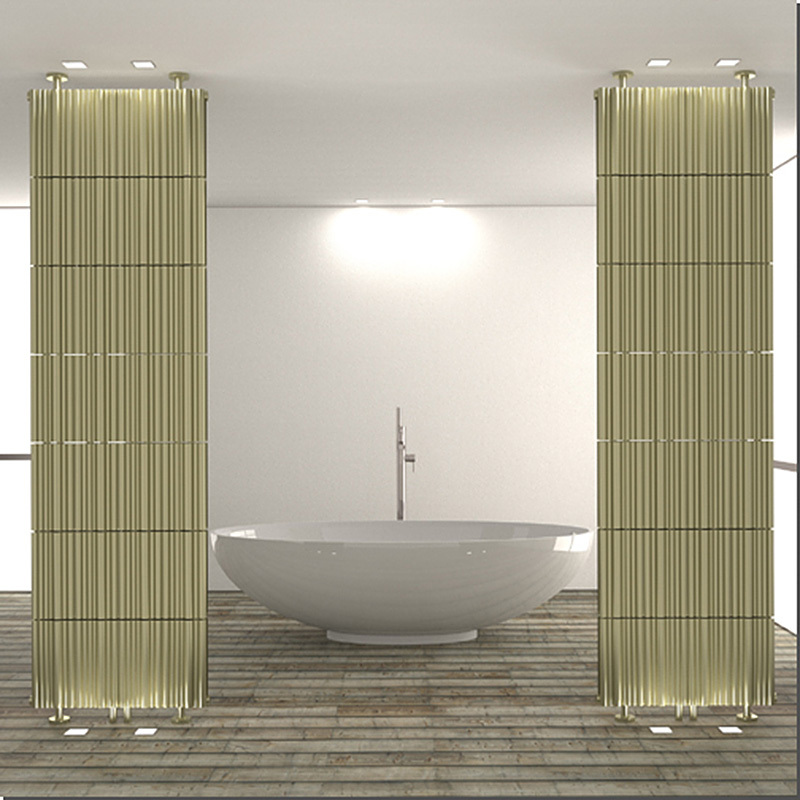 With its elegant curved frame which embellishes and conceals a modern integrated lighting system, "Spekkio" is a heater that performs multiple functions in a single design: radiator, mirror and lighting system. For this reason, its inclusion is ideal in the bathroom, the bedroom, but also the entrance hall where both form and function combine to add to any interior. Marco Pisati is fascinated by new materials and technologies, experiments with new design ideas reaching into the most extreme and diverse fields: from the aerospace, designing the interiors of zero G inhabitable space modules for the Italian Space Agency (ASI), down to the "nomadic" Earth landscape, designing the first example of an interactive nomadic office space (Motorhome ACI 2002) Invited to expose his works at the Leopolda exhibit space in Florence (Deep Inside / Image 2003) he showcased with Grado Zero Espace Company, a leading brand in the field of aerospace textile, the prototype of an astronaut jacket in Diaplex, a shape memory fabric. He collaborates with different companies as: ASI, Alenia Spazio, Iacsa, Grado Zero Espace, Iguzzini Illuminazione, ACI, Emilio Pucci, Bandini Rubinetterie, Il Bagno Bandini, K8 Radiatori, Glass Design, Ceramica & Complementi.